One thing this weather makes me appreciate is where I live; there’s no long commute for this girl! When we decided to buy a house six years ago the most important thing for us was to be centrally located, and we made that happen by buying in Westmount (a great little neighborhood just off downtown). Chances were pretty good at the time that we would both have jobs downtown (which we do) and being close to work to avoid a long daily commute topped the necessity list. 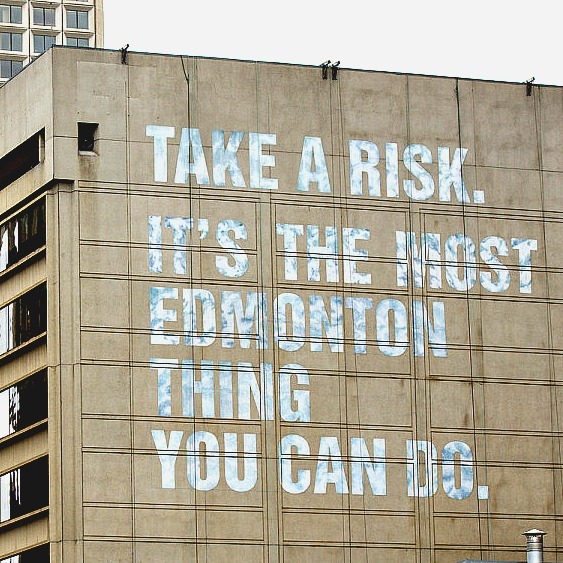 I grew up in St. Albert (a suburb of Edmonton) and suffered through the commute down to the University for years so when house hunting became a reality, I knew that would be a deal breaker. Rush hour makes me crazy (even on my current 5-minute drive), add winter road conditions to the mix, and you get one very cranky Sarah. I don’t even have winter tires on my car (I know, sacrilege) because of how little I actually drive. And when the weather isn’t so apocalyptic cold I can even walk to work…exercise and convenience. There’s also the added perk of cheaper vehicle-related costs. My limited driving means that I don’t have to allow much of my budget to gas; I usually only fill up my tank once a month, and it costs about $45. This also translates to low mileage on my car and less frequent maintenance requirements. I purchased my car brand new in October 2010, and it currently has just over 62,000 km on it. I’ve also never had to have anything major fixed on it (I’m knocking on wood right now because my warranty also just expired). One last thing that you may not have considered is cheaper auto insurance. Lots of companies will give you a bit of a discount for having a short commute or for using your car only for pleasure. Less gas and maintenance and discounted insurance all put extra money in my pocket because I made the decision to live and work in the same area. The lack of a lengthy commute was the big thing for me, but there are also plenty of other advantages to living near the core. For most cities I’ve travelled to there tends to be more activities in the downtown core than in other parts of the city and this is certainly the case in Edmonton. I’m sure there are exceptions (my downtown bias might be showing), but most of the good restaurants we have are located in or around downtown whereas the suburbs usually have more chain restaurants. Sure, every once in awhile you might just want Swiss Chalet for dinner and not have any locations near you (this is actually a thing for us; someone bring me a festive special!) but most of the time we go out for a nice meal it’s to a local restaurant and not a chain. The same logic also applies to events and festivals. Our new downtown arena has made this even more true, but even before that most of the concert venues, theatres and festival grounds are all within easy access to our house and makes it more likely that we’ll actually get out and experience things. If I had to drive 30+ minutes to go see a show, it would limit how often I’d be willing to do that. Living downtown isn’t all sunshine and roses, there a few things you should consider. The most common con you hear about buying a home central is that you get less bang for your buck, meaning you’ll pay more for a smaller home. And that’s not wrong, so if square footage is the most important thing on your house hunting list, then the suburbs might be perfect for you. For me, this really wasn’t even worth considering…more space means more cleaning, and I really hate cleaning. Our current place is about 1300 square feet, and it’s perfect for us. We’ll likely need to up-size if we add kids to the mix but that’s a problem for another day, and I’ll enjoy only having to clean 1.5 bathrooms for the time being. There’s also a good chance your dollar won’t stretch as far as you might think. If you factor in the added commuting costs to your budget some of that suburb advantage will disappear. One factor I can’t write off and has caused us a few headaches is the age of the homes. By their very essence, central neighbourhoods are old, and that means you’re likely going to end up with a house that’s got a little history in its walls. Now don’t get me wrong, I think old homes are charming and mature neighbourhoods have so much more character with their unique (non-cookie-cutter) homes and mature trees, but brand new homes give you more stability. If you buy new, you aren’t going to have to worry about your furnace conking out in the middle of winter, replacing a leaky roof, or lining up pictures on crooked walls. Side note, I just had a complete mental block on how to spell crooked….I’ve grown to embrace the quirks in our 80-year-old home, but a small part of me would appreciate not always having a nagging worry about what the next big expense will be. But why can’t I have it all?! Maybe that’s what you’re asking right now, and sure, if you’ve got the bankroll to do it you can buy a new build in an old neighbourhood. It’s going to cost you, though…back to the old bang for your buck cliche. That is actually my end goal one day, tear down our current place and rebuild on the same lot. We’ve got a big, corner lot on a perfect block and I can’t imagine moving so now we just have to win the lottery 😉 I do think it would be so much fun to plan and design a new place, that might just be the biggest perk of a new build…as long as I don’t have to move out to the boons! What are your thoughts? Where do you guys fall on the downtown vs. suburbs debate?